This portrait shows a humble animal on a large format painting which fills the whole image. This is a painting style we usually see in equestrian portraits of important rulers, but here this style is used for the simple pack donkey. Apparently the artist was fascinated by the looks of this small and strong working animal, when he made a trip to Spain. He precisely rendered the harness and the pack saddle with all its details, which are so important to avoid pressure wounds in the animal. The whip lies on the ground. 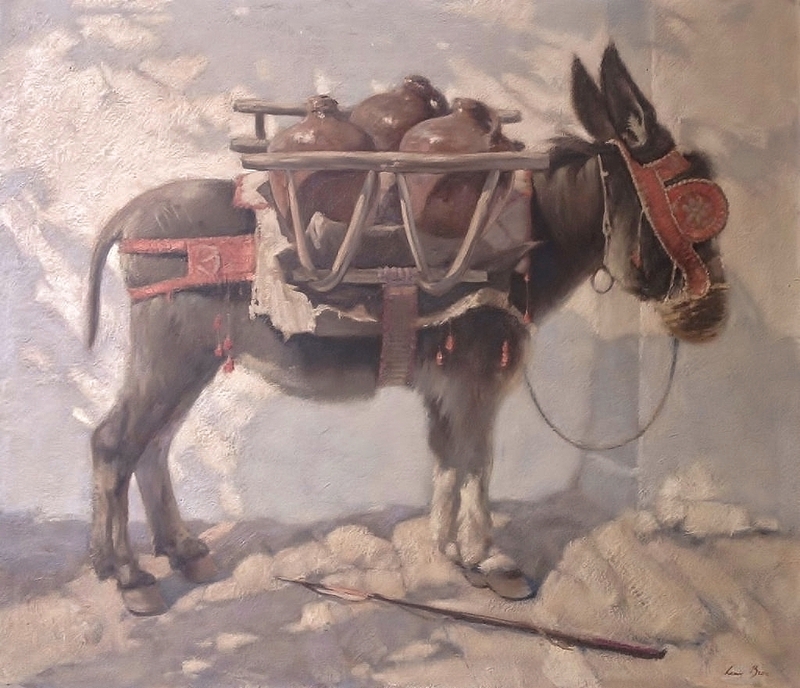 Although the donkey occurs in many works of art from historic times until the present, rarely such a large portrait is devoted to this characteristic animal. Even in our time the donkey is the main workforce of many people in Africa, the Middle East, India and other areas. Motorization has not all made the donkey redundant. Brooke Hospital for Animals treats every year some hundreds of thousands wounded and sick donkeys, who serve as the sole means of transport for their owners. Therefore this donkey portrait deserves our attention as a tribute to this indispensable working animal.